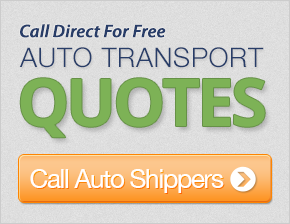 Get up to 7 free auto shipping quotes from the largest, most trusted South Dakota auto transport companies and save up to 50% on your car shipping rates at CarMoves.com. Car shipping companies in South Dakota compete for your business, which is how you can save hundreds, if not thousands of dollars on car transport services by shopping with us. Whether you're shipping a car to South Dakota, across the country, or even overseas, we can help you get the best price on your shipment - guaranteed! Read more about the following auto transport companies in South Dakota before getting a quote. Click on the name of the company to read a full review. Get a free auto transport quote today to find out how much it costs to ship a car to or from South Dakota! 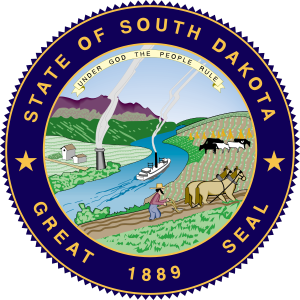 Both of the Dakotas, North and South Dakota, are well known for being some of the least populous states in the United States of America. South Dakota is located just north of Nebraska, in a particularly cold region of the Midwest. However, some South Dakota cities also experience a fair amount of warm temperatures throughout the summer months, making them perfect locations for numerous farms. Like much of the rest of the Midwest, the state is known for its rolling hills and flat plains. The majority of the state's mountains are located in the southwest, in an area known as the Black Hills and the jaw-dropping Badlands National Park. The Badlands are a region of hills, peaks, and buttes that have been eroded by the White River, a tributary of the Missouri River that divides South Dakota into east and west sides. Tourism is a popular industry in southwestern South Dakota as result of the area's many natural landmarks. In addition, major monuments in this zone include the Minuteman National Historic Site, one of the launch sites for the Minuteman ICBMs. These long-range nuclear missiles were deactivated in 1994, but two sites were left available for viewing for educational purposes regarding the Cold War. Also nearby is Mount Rushmore, the National Memorial that pays tribute to some nation's best Presidents, Theodore Roosevelt, George Washington, Abraham Lincoln, and Thomas Jefferson. Rapid City, a moderately sized city located west of the Badlands and adjacent to the Black Hills, has benefited the most from its position along this tourist route. The Sturgis Motorcycle Rally also cruises through Rapid City each year, drawing in a great number of participants and well-wishers. For South Dakota residents looking for a major urban center with shopping and higher education opportunities, Sioux Falls is the state's largest city, with over a quarter of the state's overall population. While Sioux Falls grew to prominence thanks to the natural resources in abundance near there, the city has since expanded its service, banking, and health care sectors to compete with other modern economies. The city also has significant cultural offerings in the downtown area, making the location attractive for young adults. CarMoves.com works with car shipping companies throughout the state of South Dakota. We can help you get the best prices on car transport services to the following cities in South Dakota: Sioux Falls, Rapid City, Aberdeen, Brookings, Watertown, Mitchell, Pierre and many more. If you don't see your city listed, don't worry - we can get your vehicle shipped anywhere in South Dakota. Scroll to the quote section on this page to compare free auto shipping quotes from up to 7 South Dakota auto transport companies and save up to 50% on your move! View the South Dakota Department of Transportation website for more information.